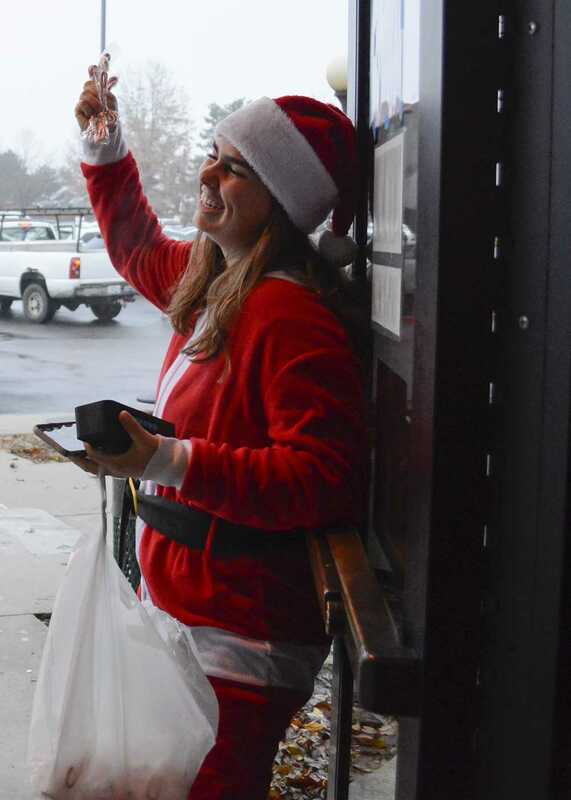 Junior member of StuCo Sadia Moumita hands out candy canes at the North Entrance Dec. 14. Photo by Maya Bell. 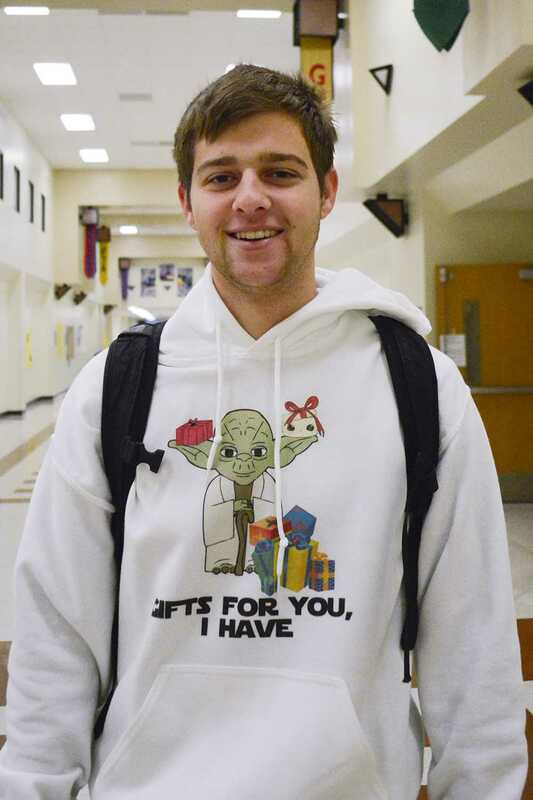 Senior Andy Nuick wears a light-up holiday cat shirt for Student Council's Festive Friday event. "I got [this shirt] for Christmas last year," Nuick said. 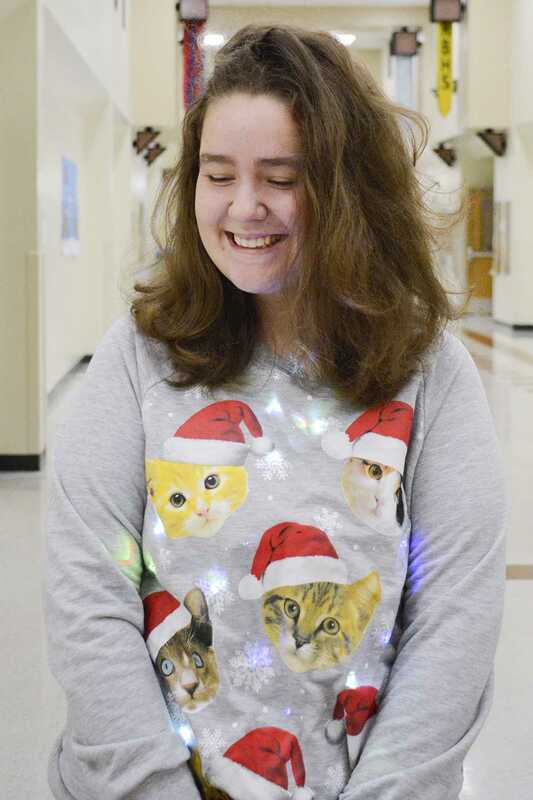 "I have like 20 Christmas sweaters so it was a hard decision." Photo by Maya Bell. 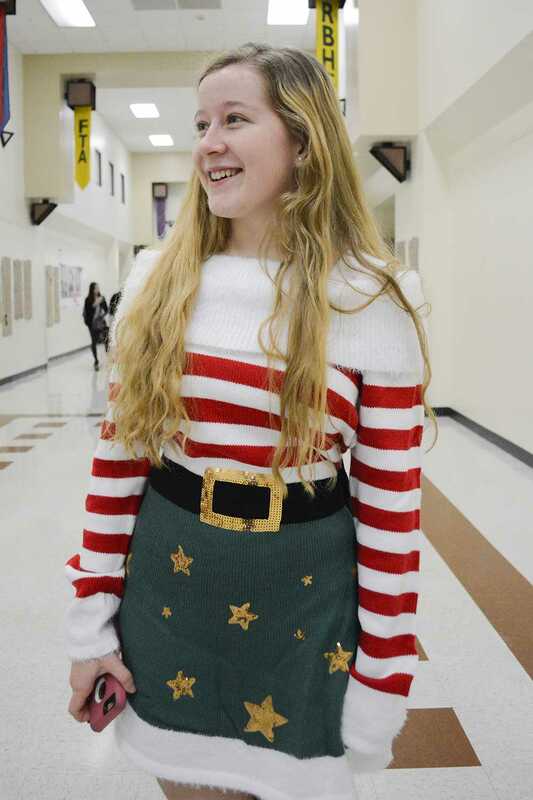 Junior member of StuCo Morgan Bossad grabs a handful of candy canes to pass out to people as they walk in to school Dec. 14. 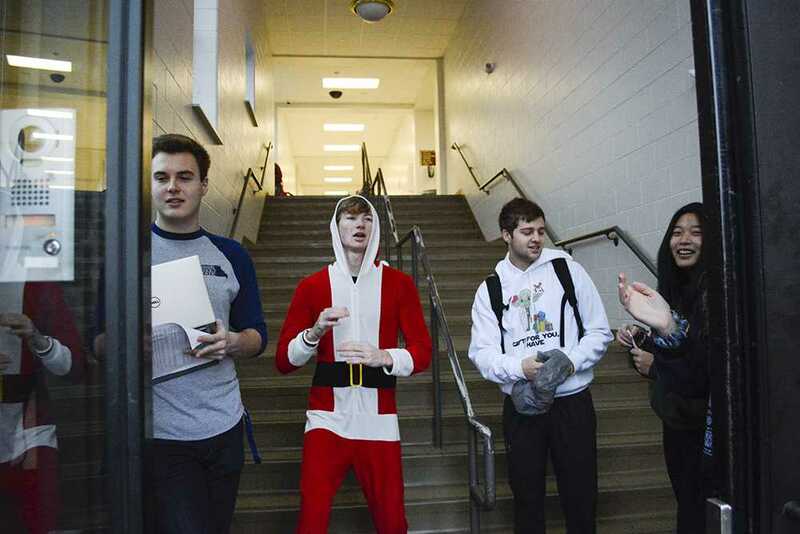 Festive Friday is an annual event to raise the holiday spirit during finals season. Photo by Maya Bell. 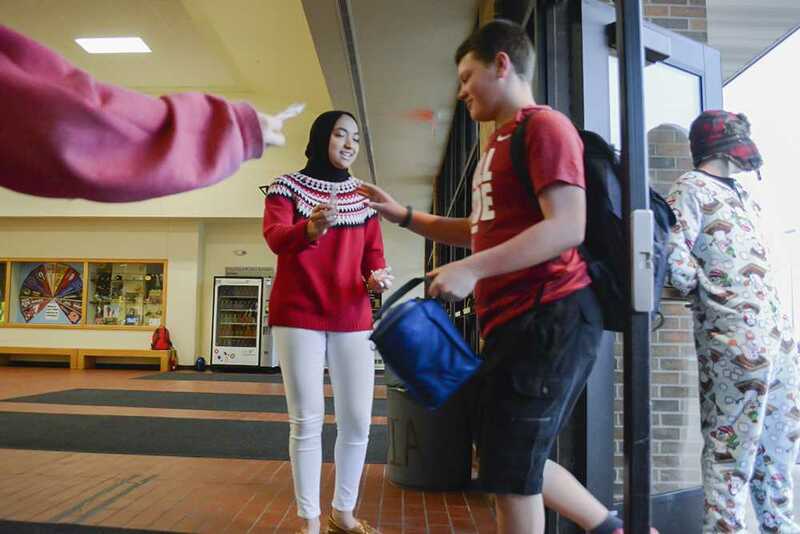 Sophomore Luqman Muhammad blasts holiday music at the South Entrance Dec. 14. 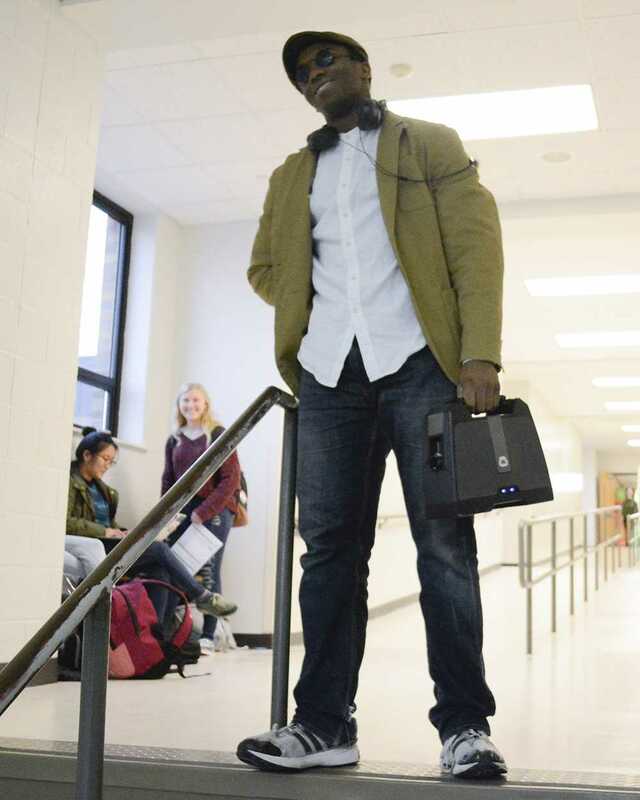 Muhammad often walks the halls with his stereo and iconic round glasses. Photo by Maya Bell. Maya Bell is a senior at RBHS with a love for photography and covering all sorts of topics in journalism. Maya takes part in the Young Artists Philharmonic of the Missouri Symphony Society as the second chair cellist. That’s so nice kids here are spreading positivity to all!